So I know that I've done a couple of "lip" posts recently and I actually have a few more coming up too (I am obsessed but this is a brand I haven't bought from before so wanted to share my purchase and my thoughts! So.... 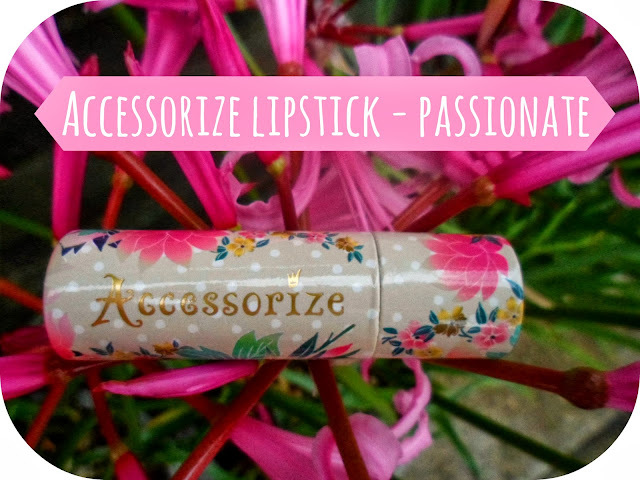 I recently went for a little browse around my local Superdrug to see if they had a new products or good deals on and I found myself checking out a stand that I don't normally pay alot of attention too - Accessorize. I settled on a lipstick (of course, this is me we're talking about!) 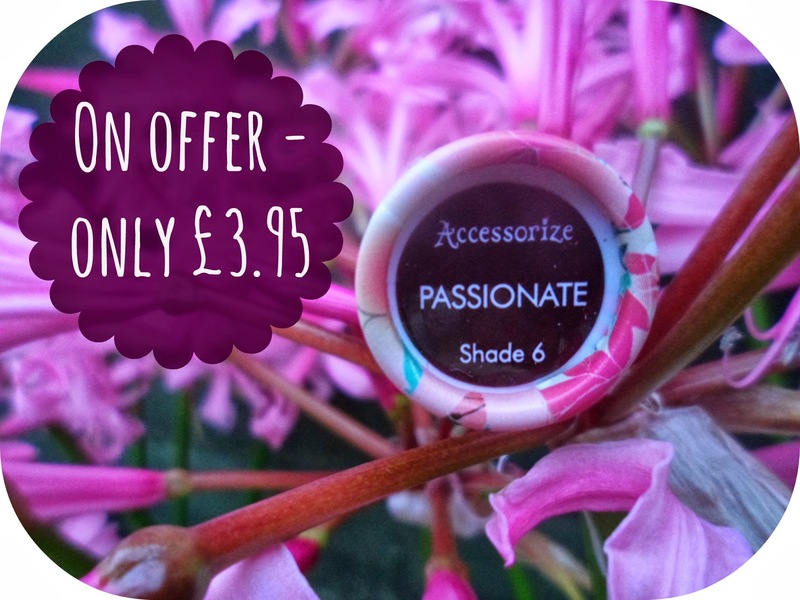 and it is shade 6 and called Passionate. Now these lipsticks are normally £4.95 - a pretty good price as it is but they have £1 off at the moment so are the bargain price of £3.95! I also managed to use some of my Superdrug points that I had - a whopping.... £2, which bought it down to just £1.95 - now that is a steal! 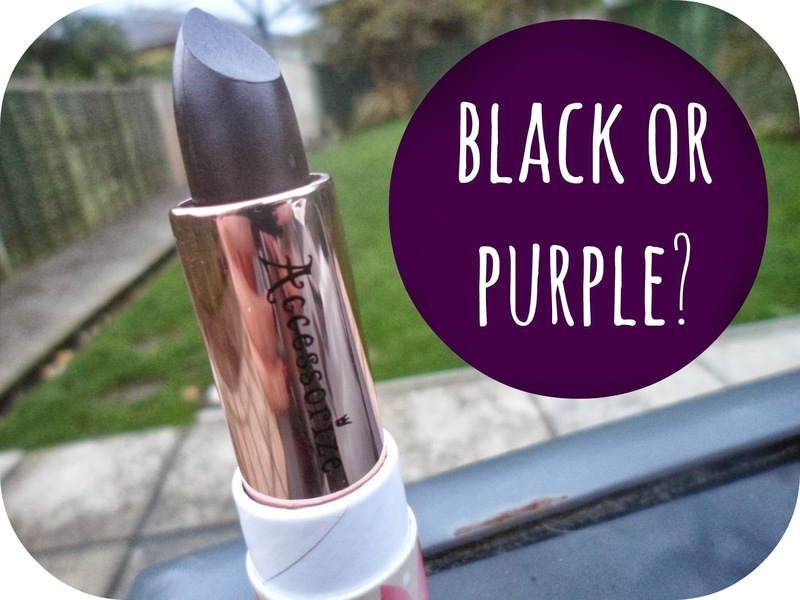 I chose this colour as I am currently on the hunt for more Autumn shades for my collection. I have so many pinks, corals, purples and reds and I think I need some more dark and sultry colours to choose from! Even though it looks black in the tube it is a really really dark purple! A colour that in previous years I have been way too chicken to wear but now I am all for it - bring it on, I am taking the plunge! This is a perfect purple colour and I think it would suit a number of skintones and hair colours! I would like to apologise for the rubbish lighting for the swatch, as you can probably tell as you go through these photos the sun went down on this particular 'photoshoot' haha! Hopefully I'll be able to tweet or Instagram a better photo soon! Have you guys tried anything from Accessorize's cosmetics? Make sure you enter my giveway girls and boys - link in the sidebar!!! Gosh it looks so dark! 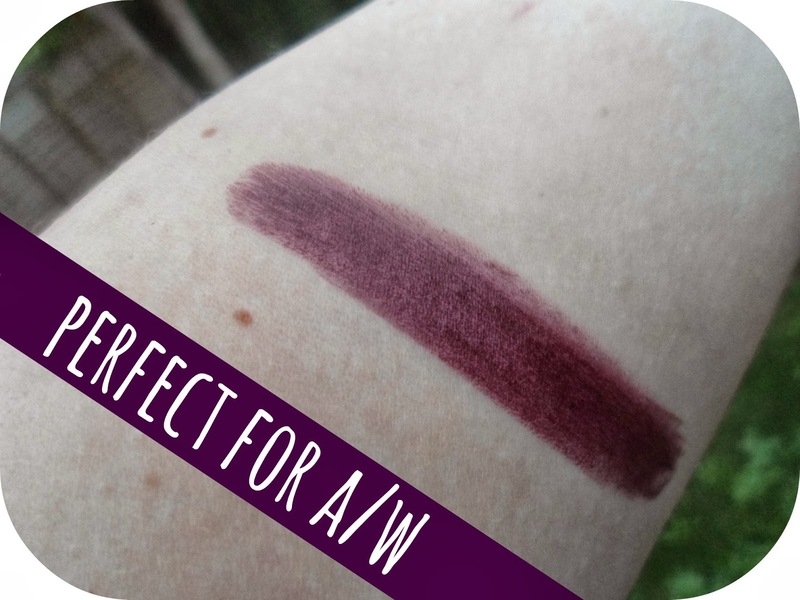 But once swatched it's gorge, can't wait to see this on you. The packaging is a winner in itself! And the colour is gorgeous too - perfect for A/W. Might have to give it a try. Lovely post! Love the color and lipstick looks so cute.